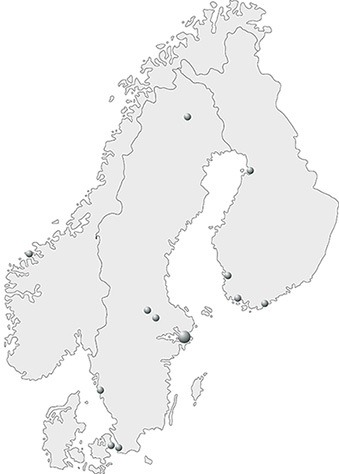 Nomo Kullager AB is one of Scandinavia's leading companies in sliding and rolling bearings, transmissions, seals and related services. The company has strong technical skills and high level of service. We are a company with activities involving import, stocking, sales and distribution of the above mentioned products. We will increase our employees insights and understanding of environmental issues in order to jointly reduce our environmental impact. We promote sustainable development and work with continuous improvements. We shall prevent pollution and try to reduce the impact of the external environment. We will strive to reduce emissions from air travel in connection with missions since this is a major part of our climate impact. We want to reduce the friction of our customers, which means less energy consumption and lower CO2 emissions. We recycle and sort waste as far as possible and take care of all environmentally hazardous waste. We comply with the laws and other requirements imposed on us from authorities, customers and the market. We are responsible to continually evaluate, monitor and reduce the environmental impact by effectively. Nomo Kullager AB is one of Scandinavia's leading companies in slide and rolling bearings, power transmissions, seals and related services. Our company has strong technical skills and high level of service. We will jointly work to gain customer satisfaction and profitability of the business. This is a prerequisite for the company's development and long-term survival. - With the customers specified requirements deliver the products that we have the possibility to procure from our suppliers. - Ensure that our suppliers can supply the requested product quality. - Create a customer - supplier relationship between and within the various functions, where every employee is responsible for the quality of their own work. - Ensure that the quality policy is implemented and that the requirements of operations and products are well known. - Continue encouraging the employee creative suggestions for improvements to ensure that we continually develop and improve our business. - Ensure that all employee have adequate and sufficient training for their duties, which must be included in the company's planned training programs. 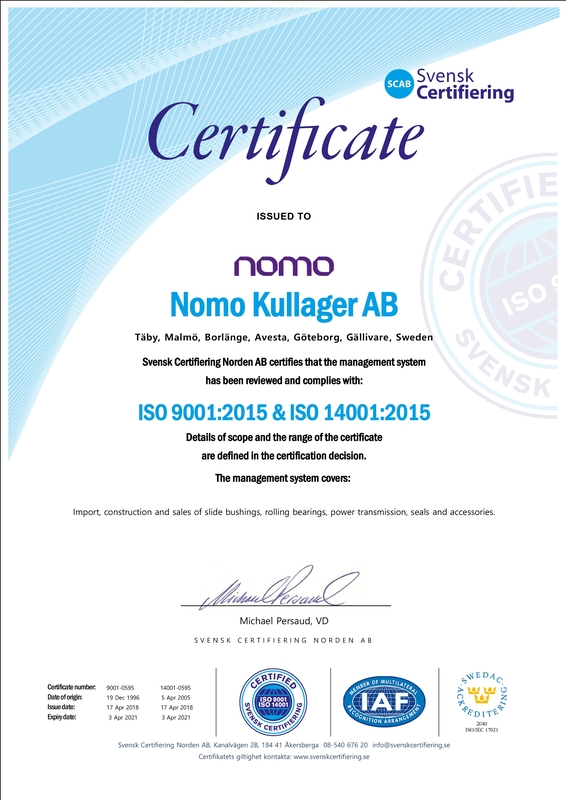 Nomo Kullager AB are certified according to ISO 9001:2015 and ISO 14001:2015 (PDF). 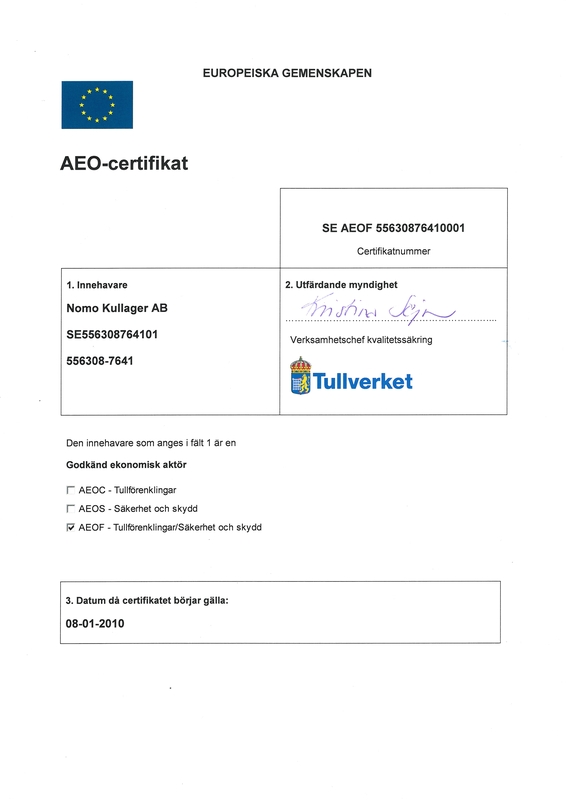 In Norway Rotek AS (part of Nomo Kullager AB) is certified according to ISO 9001, ISO 14001, OHSAS 18001, KIWA and Achilles JQS. At Nomo, we care about your privacy and strive to maintain a high level of data security. You must always feel secure when providing us with your personal data. We therefore always do our utmost to protect your personal data in the best possible manner and comply with applicable data protection regulations. Nomo has therefore taken the appropriate security measures to protect your personal data against unauthorised access, alteration and deletion. Specialists on bearings, PT and seals with focus on knowledge and sustainability. Service and solving problems for the industry in focus.